As unrest escalates in Turkey — a country that once prided itself as being a beacon of secularism and stability in the Middle East – writers and journalists are facing a crackdown on press freedom, including jailing, blackmail and the forceful takeover of major news platforms. 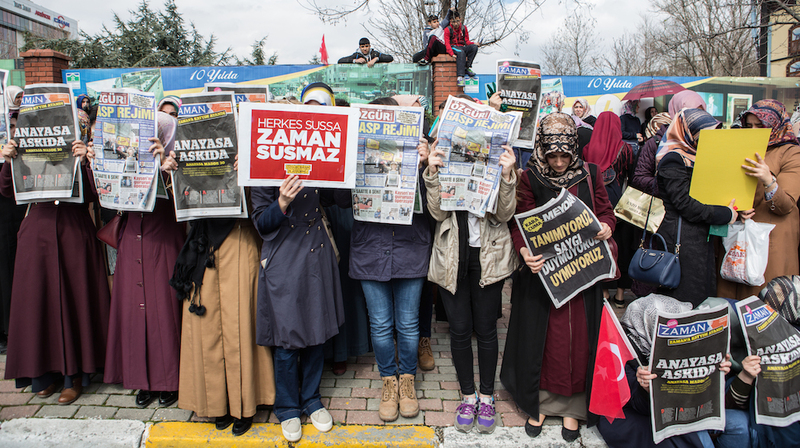 After a Turkish court ruled in March that Zaman, an opposition newspaper critical of president Erdoğan, should be run by appointed trustees, the offices were raided and tear gas and rubber bullets were used to dispel protesters. Local journalists continue to face extreme intimidation, threats and charges of espionage. Restrictions on press freedom reflect similar treatment within civil society groups, which are widely seen as losing independence from the government. 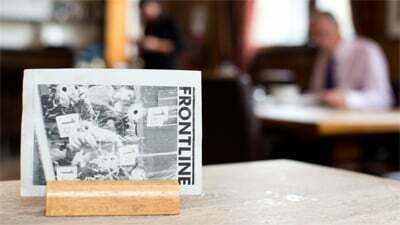 The recent attempted military coup led to further attacks on journalists, raising international concerns that Turkey has become an increasingly perilous place for writers and reporters. While Erdoğan maintains that the press in Turkey is among the most free in the world, human rights organisations warn that freedom of expression is under ever-growing threat. We will be joined by prominent Turkish writers, along with media monitoring experts, to discuss their work in the context of the new dangers faced by writers and journalists in Turkey today. Maureen Freely is the President of English PEN. An author, journalist, translator and academic, she has written seven novels and non-fiction books. She is Head of the Department of English and Comparative Literary Studies at the University of Warwick. Her novel Sailing through Byzantium was named as one of the best novels of 2014 in both the TLS and the Sunday Times, and she has translated five books by the Turkish Nobel Laureate Orhan Pamuk. She is also a fellow of the Royal Society of Literature. Ece Temelkuran is one of Turkey’s best known novelists and political commentators and her work has been published in several languages. 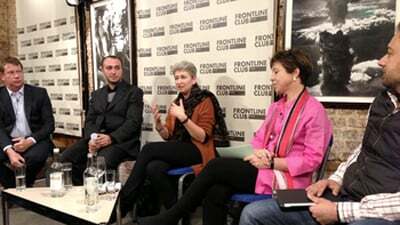 Her books have explored highly controversial topics in Turkey, including Kurdish and Armenian issues and women’s rights. She is a of winner of Turkish Journalist of the Year, the PEN for Peace Award and the Freedom of Thought Award from the Human Rights Association of Turkey. Temelkuran was a victim of coordinated social media abuse for two years following her criticism of Turkey’s ruling AKP government. Alexander Christie-Miller is a freelance journalist and Turkey correspondent for Newsweek, The Times, and the Christian Science Monitor. He has lived and worked in Istanbul for the past four years. Dr Esra Özyürek is an Associate Professor and Chair for Contemporary Turkish Studies at the European Institute, London School of Economics. She received her BA in Sociology and Political Science at Boğaziçi University, Istanbul and her MA and PhD in Anthropology at the University of Michigan, Ann Arbor. Before joining the LSE she taught at the Anthropology Department of University of California, San Diego. Dr. Özyürek a political anthropologist who seeks to understand how Islam, Christianity, secularism, and nationalism are dynamically positioned in relation to each other in Turkey and in Europe. For her research received funding from Fulbright Foundation, Alexander von Humboldt Foundation, German Academic Exchange, Institute for Turkish Studies.